To continue my scientific/Halachic exploration, I would like to summarize the approaches in one question that addresses the famous Rashi on Dvorim 17,11. I think this long and well-sourced question is crucial in setting the common ground for all "reality/science vs Judaism" related questions. Even if the judge tells you about right that it is left, or about left that it is right, you have to obey him; how much the more is this so if actually, he tells you about right that it is right and about left it is left. "ימין ושמאל. אפילו נראים בעיניך על שמאל שהוא ימין, ועל ימין שהוא שמאל - שמע להם. "right or left": Even if it seems in your eyes that they are telling you left is right and right is left, listen to them. (my translation) ... Can you think that if they say on right it's left and vice verse you will listen to them? [of course not!] For [the verse says] "to stray right and left" is only when they say on right that it's right and on left that's left. So the Rashi's interpretation here is off the traditional approach of either Sifre that allows for listening to the Rabbis when the judgment is subjective (like your right is my left) or the Yerushalmi that does not accept listening to Rabbis that contradict the evident - call the right left and vice verse. Interestingly, this Rashi became widely accepted and extrapolated to all Rabbinical sayings in the Talmud, the Midrash and more, causing accusation of those who follow the opposing [and not a less traditional] view in heresy and apostasy. The question: Are there sources that accept the Sifre and the Yerushalmi's approach to [not/] accepting Rabbinical sayings over Rashi's? 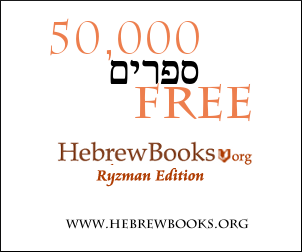 Like Ramba"N, Avraham Ben Haramba"M and more? A "Meta"-question - shouldn't the contemporary Rabbis revert the official Judaic position of the blind אמונת חכמים to the Sifre and Yerushalmi views without sacrificing anything?? Yes, there are very many. See the mefarshim to this verse. ימין ושמאל – אפילו מראים בעיניך על שמאל שהוא ימין ועל ימין שהוא שמאל (כ״ה לשון ספרי), פי׳ דלפי מראה עיניך הם טועין בדין מ״מ תשמע להם; אבל אם ידוע בודאי שהם טועים, כבר אמרו בירושלמי (רשפ״ק דהוריות) אם יאמרו על ימין שהוא שמאל ועל שמאל שהוא ימין אין לשמוע להם (ע׳ רא״ם וצד״ל), ולשון רש״י כאן צריך תיקון. ומ״ש ״ימין ושמאל״, היינו לפי דמיונך. שתדמה שמהפכים שמאל לימין, בכ״ז לא תסור. כי באמת הלכה כדבריהם, ועל דעתם ניתנה התורה. ורוח ה׳ תנהלם לכוון ההלכה, ולא יטעו. פירש״י אפי׳ אומר לך על ימין שהוא שמאל ועל שמאל שהיא ימין וכ״ש כשאומרים על ימין ימין ועל שמאל שמאל עכ״ל. תימא וכי שומעין לחכם שאומר על טמא טהור ועל אסור מותר אלא ע״כ פתרונו על גזרות חכמים ותקנותם על ימין שהוא שמאל כגון תקיעת שופר שאינה דוחה שבת וכן הרבה ועל שמאל שהוא ימין כגון שניות לעריות וכן הרבה עד״י ב״א. Not the answer you're looking for? Browse other questions tagged halacha-theory rashi science parshanut-theory . What did Bnei Ammon do?